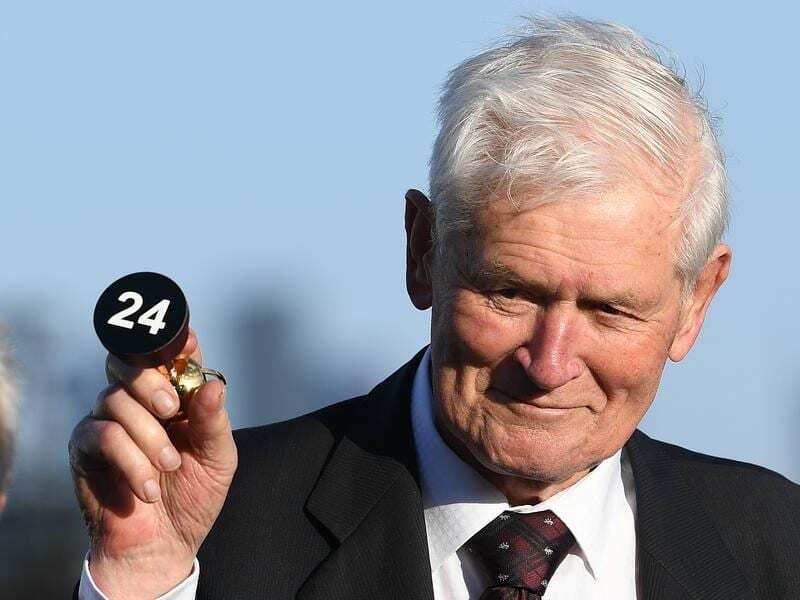 Sir Patrick Hogan is a part-owner of New Zealand-trained Zacada, a Melbourne Cup long shot. Just getting their horse Zacada into the Melbourne Cup has been cause for New Zealand dairy farmers Andrew Bryant and David Armstrong to celebrate. The two own Zacada in partnership with famous New Zealand racing identity Sir Patrick Hogan and his wife Justine. Zacada is now at $81 for the Cup, but that doesn’t bother the pair with the gelding at even longer odds when he ran a nose second to Who Shot Thebarman in the Sydney Cup earlier this year. Despite that performance over the 3200 metres of the Melbourne Cup, there was a long wait on Saturday before Zacada was confirmed as a runner. “It was an absolute roller-coaster,” Bryant told NZ Racing Desk. “One minute we looked like we’d just get in, then there was a doubt. “When we got in we had a big night on the town on Saturday night. Sir Patrick joined us and we celebrated. Mind you we kept reminding him of the ‘beautiful’ draw he drew for us – 24 out of 24. Trained by Murray Baker and Andrew Forsman, Zacada has been unplaced in four starts this campaign but that has not dampened his owners’ enthusiasm. “There are 30 family and friends who have come over for it. Some of them are farmers from around the area,” Bryant said. “It’s great for us to have them here. Now we’re looking forward to Cup day. A proven stayer, Zacada won the Group Two Avondale Cup (2400m) in January and finished fourth in the Group One Auckland Cup (3200m) in March before the Sydney Cup. Ladies First, owned by the O’Leary brothers who race Who Shot Thebarman, won the Auckland Cup but missed a vital pay-up stage because of an oversight.